COMPLETELY un-scientific... but interesting none-the-less. You’d agree that not every prescription drug has always worked for you exactly as the doctor said it would. Also, sometimes you may have experienced certain unwanted side effects from even those drugs which are supposed to be harmless. 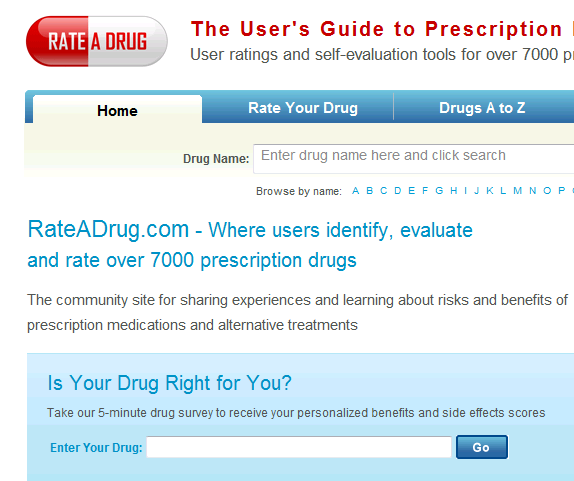 RateADrug is a website which aims to generate ratings based on user reviews and also shows you the possible prescription drugs side effects, according to what users have experienced. 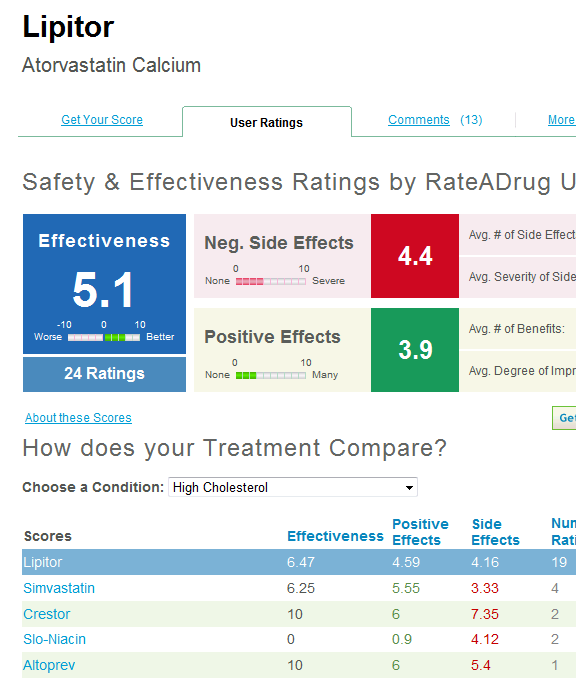 You can search a drug by typing it in the search bar and then get various details and ratings based on different parameters. Like you can see in the screenshot below, the drug Lipitor is rated by anonymous users based on the positive and negative side effects it incurs. You may also choose a condition from the drop down menu and then see the corresponding details.